Relax…and let us take care of your Website Management. That’s where we come in. Our total website management includes everything you need to keep your website updated and working for you. Our job starts with making sure your website available 24 hours, 7 days a week. Then, we give you access to our team of experts for when you need website updates. 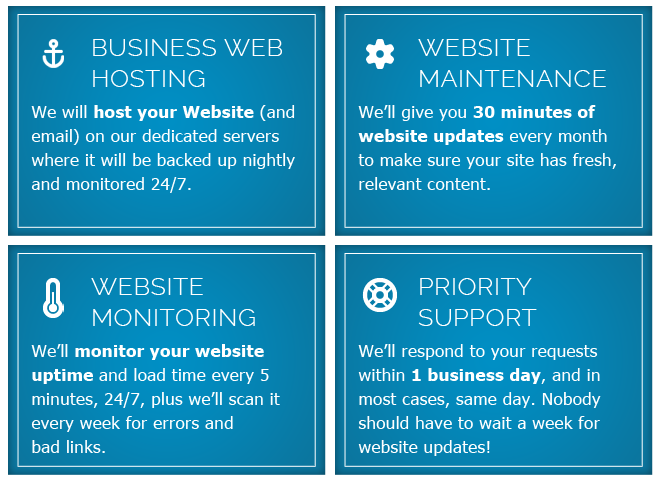 We’ll make sure your website is always updated, always functioning, and always backed up. Anything you need, we are just a phone call or email away. What else do you get with Total Website Management? Why choose Go Web Solutions for website management? We’ve been in business since 2000, providing high quality website design, internet marketing, and website management solutions. Our team has worked on hundreds of websites, and currently manages websites for all types and sizes of organizations.